1. 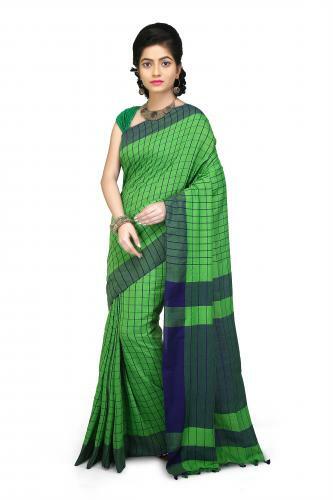 Saree length is 6.5 metre with 0.9 metre blouse piece. 2. Used soft khadi cotton thread. 3. Check designs are there in all over the saree. 4. This saree is very easy and comfortable to wear. 5. Blouse piece is available.